Lies - Rockster's 5th single is named After the attention grappling hook. With "Lies" he devotes a song to a subject which every one of us can relate to. Can you faithfully claim that you have been honest at all times, or that the people surrounding you have always told you the truth? 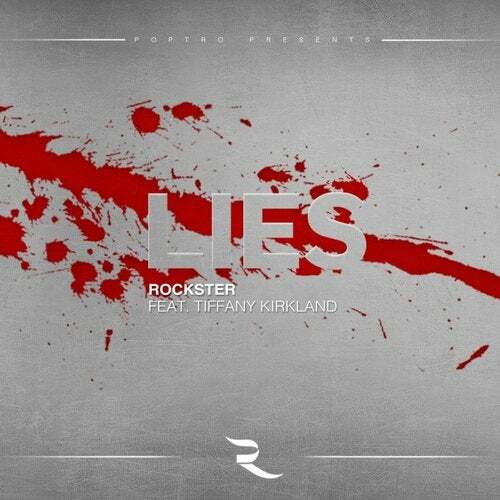 Rockster's video to "Lies" is not intended to portray the little everyday lies. Rather, it deals straightforwardly with how we are effected by the lies of the mass-media and political regimes. This video contains "authentic" Footage of " real" lies & arrant liars, influence our view towards the world. Press play and prove to yourself that we live in a world full of lies. Share this video with your friends and those who could be interested in it. Remember, every lie will eventually come out and has repercussion On the one who spreads it. And yes- maybe- those lies will influence and effect you somehow. The profit/revenue of the song "Lies" will be donated to Amnesty International and four-paws. Support the truth, let's make the world a better place… One, Rockster Bio: Rockster, coming from a country which is a major player in the Techno Scene, and where some of the most legendary artists of the industry have created pathways to emerge evolutional in an ingrained way into the ever-loving musical genre, there's absolutely no doubt that today's pop music has been impacted by electronic styles. Rockster has found a way to merge both musical directions. If you only know dance music you're not going to make good dance music." That's the general motto that many electronic music makers encounter, especially German-based producers / DJ's, Rockster states "Songs which have inspired me throughout my life were not actually club songs, it was more likely pop. Heart-touching, soulful, melodic and catchy..." is how he describes the music that has moved him the most throughout his life. Influenced by some of the most renowned artists in R&B, Pop & Soul like Michael Jackson, Barry White, Luther Vandross, Johnny Cash, Justin Timberlake & Pharrell Williams, he reforms his dance music medicine with elements of Soul, infectious hooks and deep bass, sparking the light of his own musical path. "Throughout my life as a DJ/Producer I was always searching for songs with a heartbeat touch of soul; songs that take you away emotionally instead of having to bear the ever-existing disposable sound of the usual funfare." And it has been proven. It's not surprising that Rockster's quest for quality has landed him countless radio gigs and live performances, including being the touring DJ for the Backstreet Boys, Rapsoul (Top 10 Act Media Control/ Germany) and many other performers. With his debut release, "How I Feel," feat. Paul Cless Rockster's musical production standards have been touched by combining contemporary sounds and influences of different musical styles. With "How I Feel" he entered the Billboard Dance Charts at #19! In the last few years, Rockster realized that working aside different musicians, singers & songwriters is an essential tool for his sound. Thus, he created his own genre, which he named Poptro. Poptro is electronically inspired pop music. In alliance with his Producer and musical Partner Efe (www.efemusic.com), they established their new label which is also called Poptro (www.poptro.de) Within the last 2 years he has collaborated with artists like Butch Williams (The Voice of Germany), on the track "This Ain`t Love", which has a souly and gospel breeze to it and again with his 3rd single "Remember" feat. his homie Paul Cless ( known for his worldwide Club Version of "Suavemente"), he coined another funky groove, a perfectly suited dance floor song. Furthermore, Rocksters 4th single "Feelin Free", is a cooperation with his DJ counterpart and producer Cuebrick. This song has been featured with US Singer/Songwriter Nelson Ortiz. Rockster recently spent some creative time in LA where he worked with several artists on new music. Moreover, he has shot the new video for his upcoming single "Runaway". Currently he is in the lab working on his debut album, which promises to contain much of the same inspiring messages and which will uplift the energetic DJ vibe on the dance floors worldwide for the years to come. It's the combination of different musical elements that people ultimately remember and which will define its grace in music.